How do I link my Google Analytics to my Google Adwords? Step 1) Make sure the email that has access to your Google Analytics has access to your Google Adwords. If not, go into the Gear Icon and Account Settings. Click +Users, which is the red button. This will allow you to add your email that you access Analytics through. Step 3) Log in to that email and follow the instructions in the email to be added. Once you've added the email, go back into Adwords and Click Grant Access next to the User's Email. Step 4) Now that you have fully granted that email access to the Google Adwords, login to both Google Analytics and Google Adwords with that email. 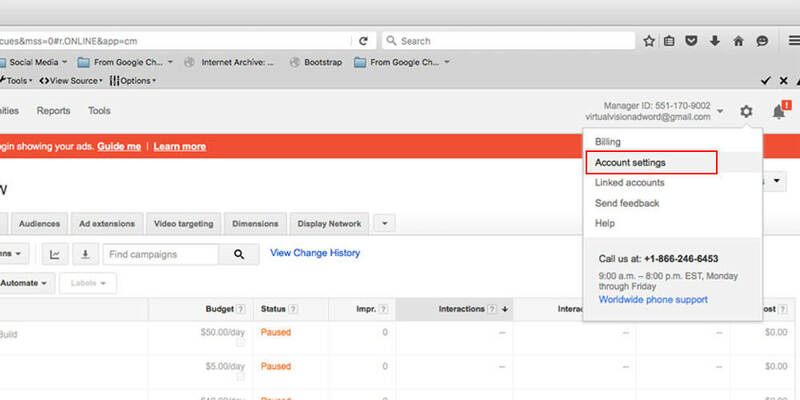 Step 5) In Google Analytics go to Admin Tab. Once there, Select Adwords Linking in the middle column. 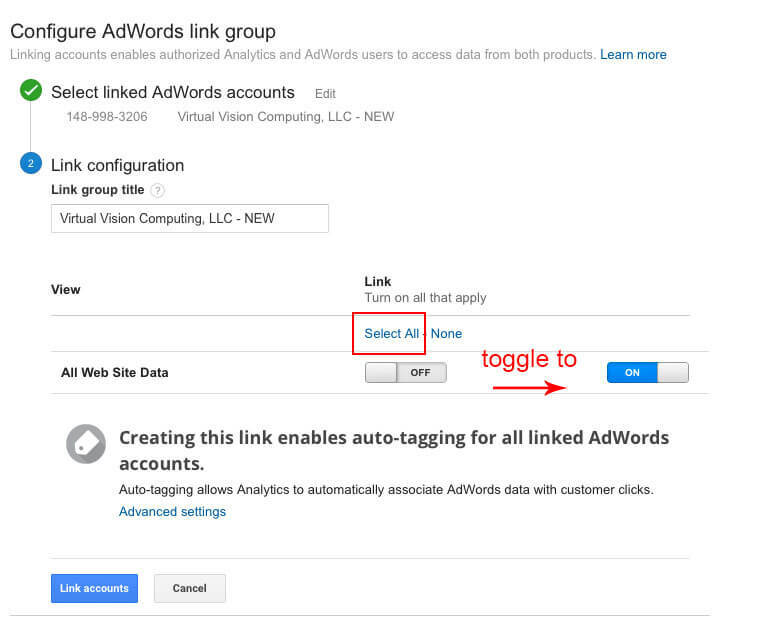 Step 6) Check the corresponding Google Adwords Account and then Hit Continue (Blue Button) at bottom. Step 7) Hit Select All and make sure the All Website Data is turned On. Then Click LINK ACCOUNTS at the bottom.